How Many Servings from Each Food Group Do I Need? Between the likes of Big Gulps, foot-long subs, and trenta-sized lattes (31 ounces! ), we’re living in a super-sized world. The proof? 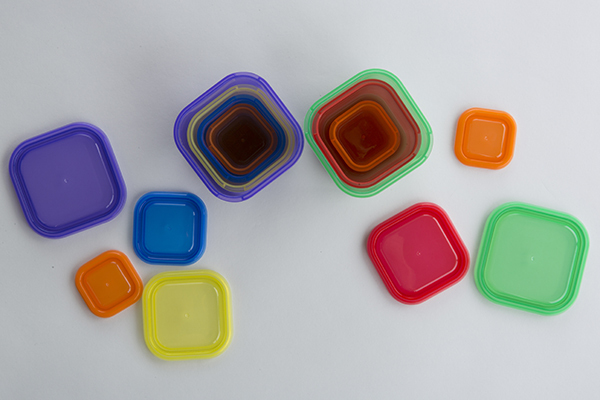 Between 1977 and 1996, food portion sizes increased inside and outside the home for most types of junk food. The standard plate size has grown from 9.6 inches to 11.8 inches since 1900. So, if portion sizes are completely out of whack these days, then how can you tell how much you’re really eating, and how much should you be eating every day, anyway? “A lot of fad diets encouraging low-fat intake or low-carb intake have faded in and out of popularity, but the pendulum in research always tends to swing back to the center, stressing moderate carbs and an equal split of healthy fats and proteins,” says Paige Benté, M.S., R.D., C.S.S.D., and nutrition manager at Beachbody. Remember the food pyramid from elementary school? 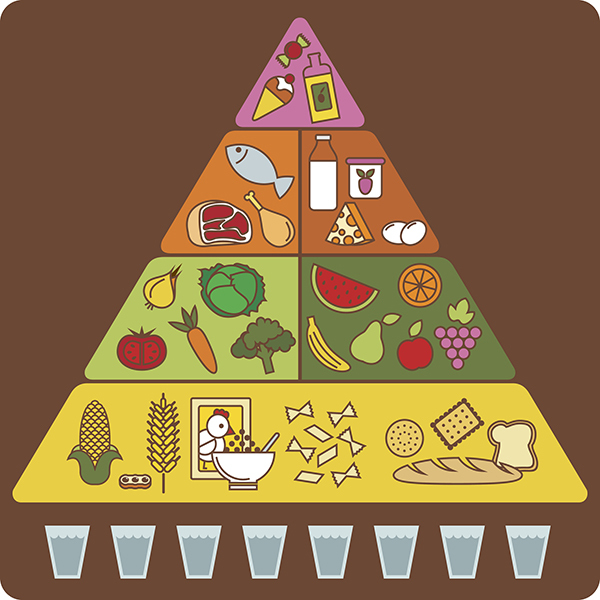 If you paid attention in health class, you’ll recall the Food Guide Pyramid divided food into five groups. At the bottom of the Pyramid were grains (6–11 servings), then fruits (2–4 servings) and vegetables (3–5 servings), then protein and dairy (2–3 servings of each), then at the top were fats/oils/sweets. The Pyramid also didn’t distinguish between types of fat, simply recommending that fat be consumed “sparingly,” and there was no specific guidance on grains. The USDA replaced the Food Pyramid with MyPlate, which is a bit more accurate, but overlooks an important detail: weight. If you’re having trouble hitting your daily target for vegetables, whether it’s because you just don’t like greens or you don’t have access to a wide variety, it’s good to have a Plan B. A greens supplement like Power Greens can help you fill in the gaps in your diet. Even better? Add Power Greens to a daily Shakeology and you’ll be well on your way to meeting your target. Do Food Group Servings Differ for Men and Women? Body mass is the biggest reason to account for dietary differences between men and women. “There’s definitely a difference between a 120-pound female looking to maintain her weight and a 250-pound male who’s trying to bulk up — and as such, they’ll need very different amounts of food,” says Benté. For example, the first step of the Portion Fix program is to calculate your “Calorie Target” to determine the portion plan that works best for you and your body type — and weight plays a big role. Multiplying your weight by 11 will give users a caloric baseline, which you can then use to calculate your maintenance calories, or the number based upon your exercise regimen. 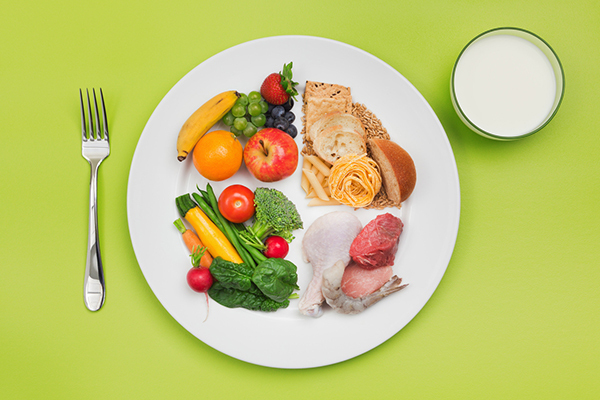 Now that you have your Calorie Target, you can determine the portion plan that best suits your body’s needs and goals. There are six plans in the Portion Fix program, and the range between Plans A and F are substantial for those reasons. Do Food Group Servings Change When You’re Working Out? Once you’ve calculated your caloric baseline, it’s time to honor all that hard work from your workouts. That’s especially true with those looking to seriously build muscle mass; research shows that optimal protein intake for bodybuilders during periods of intense training are significantly higher. For a moderately challenging workout (e.g., jogging, yoga, 21 Day Fix, or Rockin’ Body): Add 400 to your caloric baseline. For an extremely challenging workout (e.g., long-distance running, SHIFT SHOP, or 22 Minute Hard Corps): Add 700 to your caloric baseline. What Do I Do If I Eat Too Much of One Food Group? While it’s only natural to have some days where you don’t meet your daily intake needs, Benté says it’s important to do everything in your power to stick to your individualized food group plan.